Welcome to the Whalers Retreat – a superb two storey architect designed beach house located in Hyams Beach on picturesque Jervis Bay. 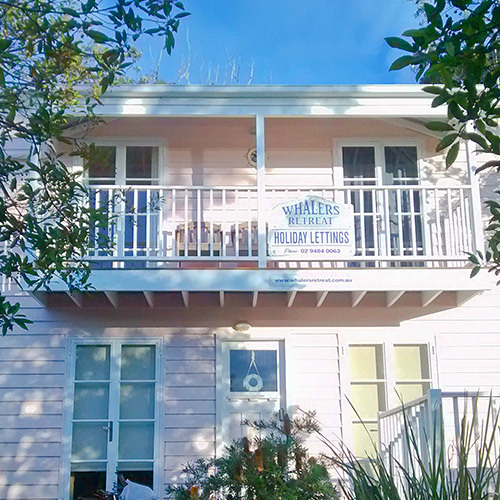 Its charm, comfort and close proximity to the beautiful white sand beaches and attractions of the area make Whalers Retreat ideally situated for your escape. We hope that the Whalers Retreat will play a part of your special moments, memories and times spent at Hyams Beach. Hyams Beach is situated on Jervis Bay, 2.5 hours from Sydney and 3 hours from Canberra. Jervis Bay is one of the world’s most spectacular treasures. So whether it is for a romantic getaway, an active holiday or family vacation – book your stay at Whalers Retreat for your escape to Hyams Beach, a beautiful bayside village which boasts the whitest sand in the world.